Mark your calendar! The Ableton User Group is gathering this week at Ex’pression College for the October meetup. In this month’s meeting, we’ll be covering two topics: reverb, as well as the music business. Come to the meeting, learn a few things, and nerd out with other Ableton users! Be sure to join the meetup group so you don’t miss out on future events. 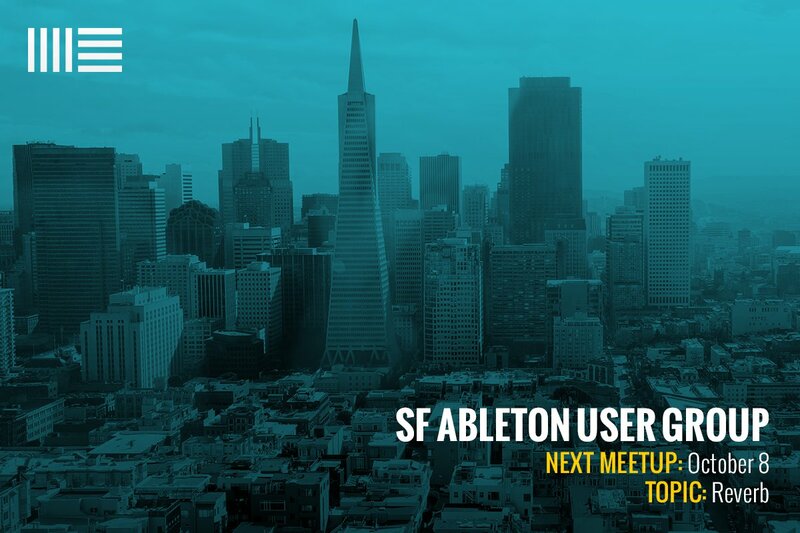 The SF/Bay Area Ableton Live User Group is for anyone interested in Ableton Live, music production and performance. The goal of the group is to create a community around music making and performance through the sharing of ideas, projects and lectures on a wide variety of Ableton and music production related topics. The monthly meetups center around User Group members sharing their projects with the group, alongside lectures given by Ableton Certified Trainers and industry professionals.